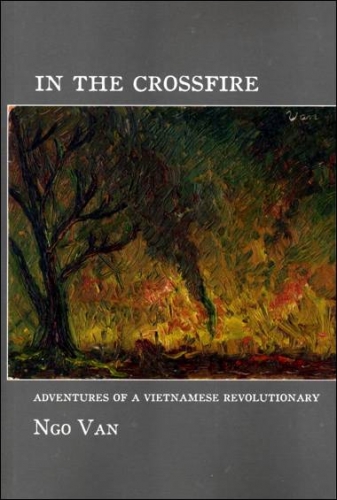 Ngo Van Xuyet's accounts of class struggle in Vietnam before the rise of Ho Chi Minh and the US invasion. “History is written by the victors.” With the increasing spectacularization of modern society, this truism has become truer than ever. The most radical revolts are not only physically crushed, they are falsified, trivialized, and buried under a constant barrage of superficial and ephemeral bits of “information,” to the point that most people do not even know they happened. The two-stage Vietnam war against French and then American occupation (1945-1975) is still fairly well known; but almost no one knows anything about the long and complex struggles that preceded it, including the fact that many of those struggles were inspired by an indigenous Trotskyist movement that was often more popular and more influential than the rival Stalinist movement under Ho Chi Minh. While Ho’s Communist Party slavishly followed the constantly shifting policy lines ordered by his masters in the Kremlin (which often called for alliances with the native landowners and bourgeoisie in the name of “national unity,” or at times even with the French colonial regime when France happened to be allied with Russia), the Vietnamese Trotskyists expressed more consistently radical perspectives. The situation was somewhat analogous to what was going on in Spain during the same period. In both cases a radical popular movement was fighting against foreign and reactionary forces while being stabbed in the back by the Stalinists. One significant difference was that in Spain the popular movement was predominantly anarchist, whereas anarchism was virtually unknown in Vietnam. * Many Vietnamese rebels thus understandably saw the Trotskyist movement as the only alternative, the only movement fighting simultaneously against colonialism, capitalism and Stalinism. In any case, spontaneous popular revolts often bypassed whatever ideologies were officially in play, implicitly calling in question the whole social order even when their explicit demands were much more minimal. What stands out is the readiness of ordinary people to create their own forms of action — workers forming underground unions and carrying out illegal strikes, peasants seizing land and forming “soviets,” prisoners organizing resistance networks, women breaking out of their traditional roles, students and teachers putting their learning to subversive use, neighborhoods organizing themselves into “people’s committees,” streetcar workers creating an independent militia, and most astonishing of all, 30,000 coal miners forming a workers-council “Commune” that manages to hold out for three months before being destroyed by the Stalinists. These are not the proverbial “masses” meekly waiting for some leader or “vanguard party” to tell them what to do. They are participants in one of the most broad-based and persevering revolutionary movements of the twentieth century. Anticolonial movements have long been a source of political blackmail. People who become aware of the horrors of colonialism usually know little else about the countries involved and have often been ready to applaud any purportedly “progressive” leadership, supporting practices they would never dream of defending if they took place in a modern Western country. Radical social critique has been discouraged by the argument that criticizing even the most brutal Third World regimes is “playing into the hands of the imperialist powers.” Moreover, in many cases apologists have been able to argue that despite regrettable defects, those regimes are the only possibility, there are no apparent alternatives.